The Sure Fit Microfiber Pet Cover is a quick and easy solution to protect furniture from fur, stains, scratches, and even kid spills! It is also great for covering sectionals and other hard-to-fit furniture. The diamond quilted fabric is made of a soft polyester microfiber. There are also seat and arm anchors to tuck in for stabilization and a self-fabric binding at the perimeter. 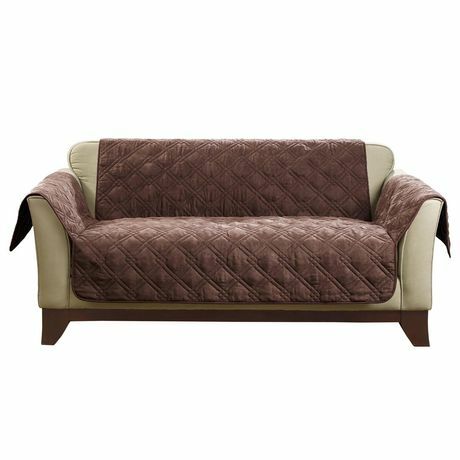 • Fits most loveseats 58" - 73" wide (from end of arm to end of arm), and 37" in height.